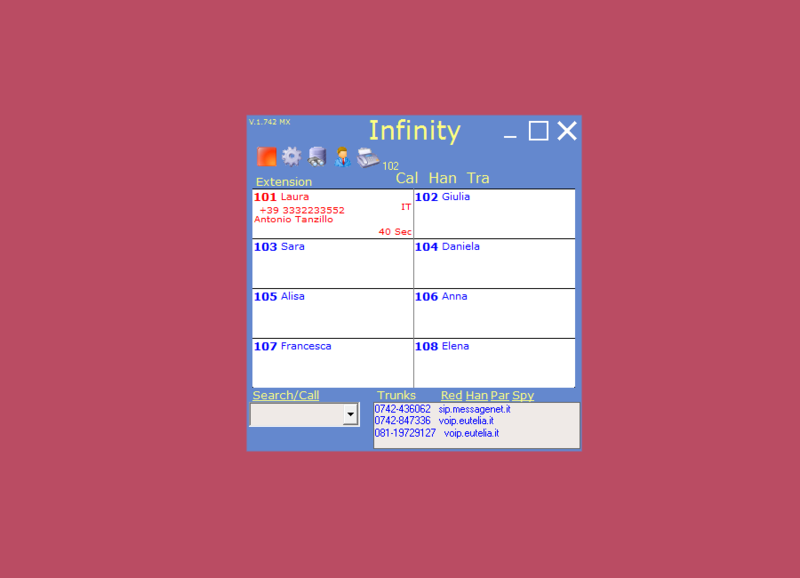 "Infinity" requires windows operating system. Download and run the executable, the activation is done online, the registered version Free Allows to monitor all extensions. 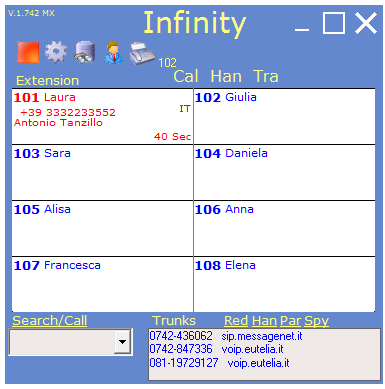 Infinity displays dynamically logged agents, shows the status with different colors, the phone number of the caller, the name taken from the agenda internal or external database access, the call duration. The status of the telephone lines by color: not available / Free / busy and the affiliated entity. With the mouse you can call an internal, end a call, transfer it to another extension. The Works Search & Call allows you to search for a customer by name and transfer the call. Below will show the total number of forwarded calls. 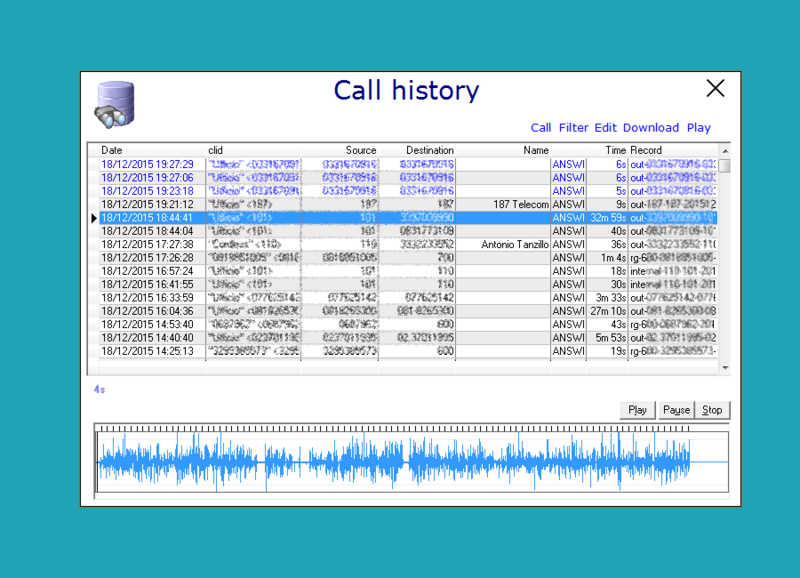 you can view the CDR, the list of calls, listen to conversations in the phone or download them and listen to them on your PC. 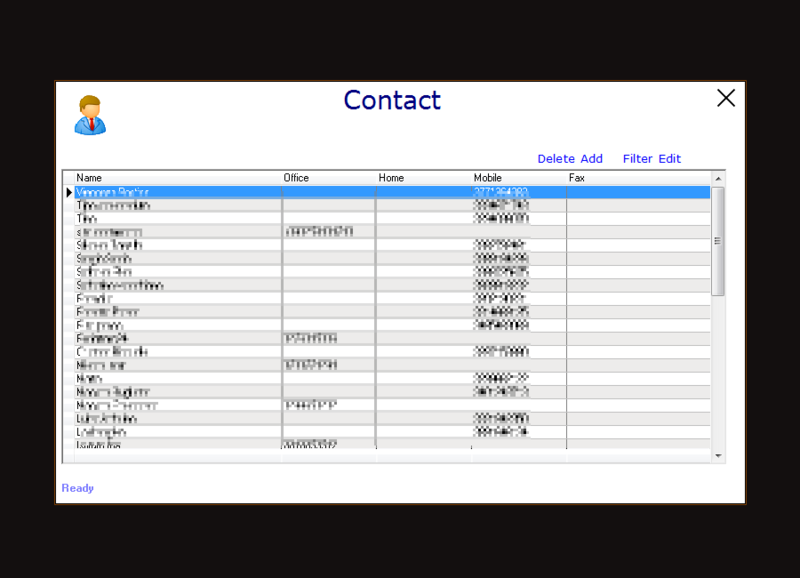 You can add the names of customers, export the list to excel, to filter for each field, forward calls.